Turunc Boat Trip is a getaway to the hidden beaches and bays around. A great relaxing day out with a BBQ lunch which is cooked and served on the boat . 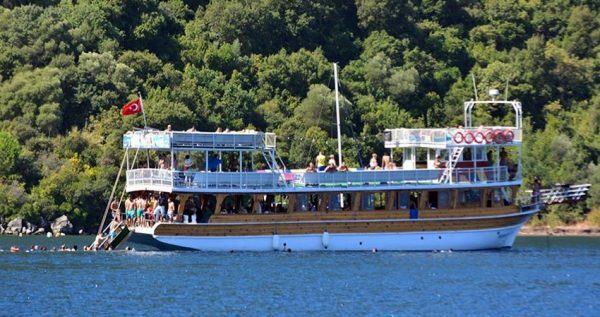 Our Turunc Boat Trip starts with the meeting of all our guests at Turunc Harbour. As Turunc is a pretty small holiday town all hotels are at a walking distance from the harbour. Please remember that you have to be at the harbour at 09:50 o’clock. 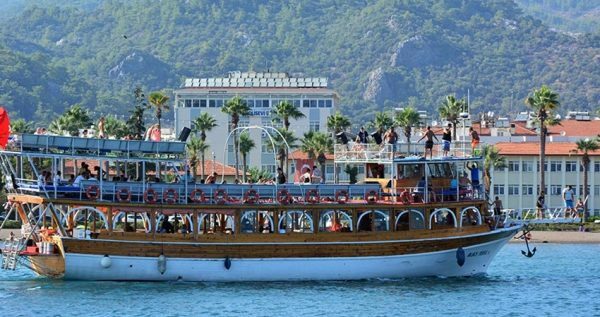 After all our guests will reach the marina, you will board our lavish double decked boat and head out to the open sea. We will take numerous swim stops in some wonderful secluded bays, so you can snorkel, work on your swimming skills, sunbath, or just lie on the beach and let the warm breeze caress you. Our first break is at the Aquarium bay where you will get to take a dip in its heavenly blue waters. After an half an hour swim stop at Aquarium bay the next stop will be Kadırga. 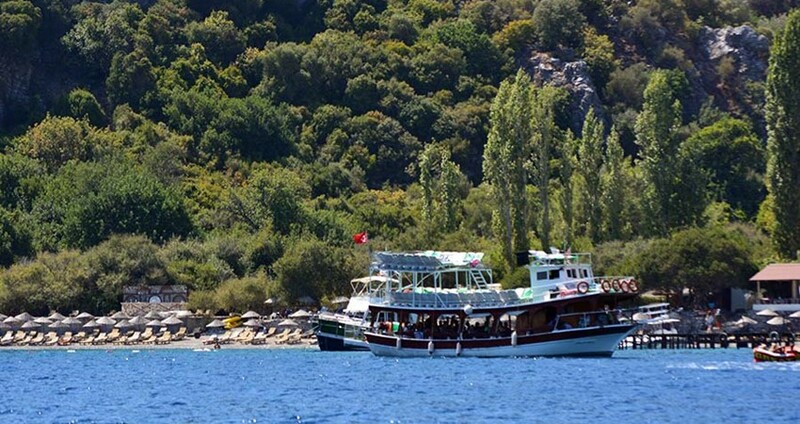 Kadırga bay , is also a frequent stop on our daily boat trips from Turunc. 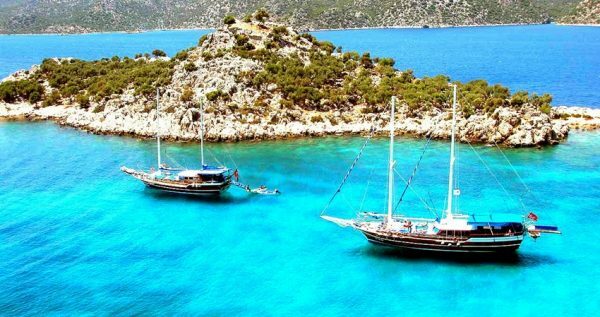 This gorgeous bay is well known for its crystal clear waters . Our stop here is for 1 hour and 30 minutes where our lunch will be served. 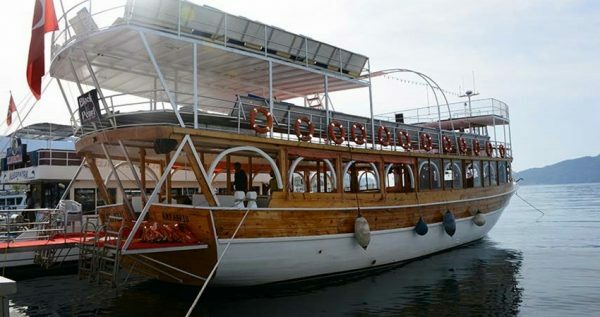 We will take a break to enjoy a delectable lunch on the deck of our lovely boat. Menu includes a fresh salad, grilled chicken and meat balls, rice or pasta, all freshly cooked. 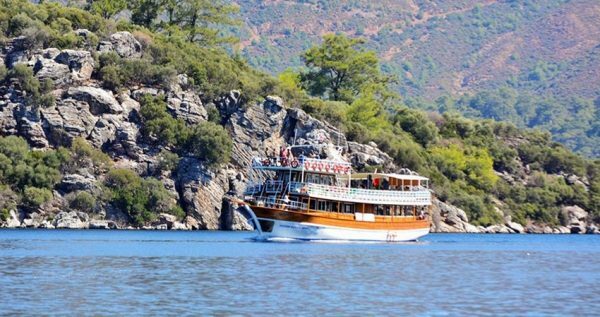 We will also take a pause to swim and Kadırga (30 min), Bakla Bükü (30 min) and Kumlubük (30 min) are also the other swim stops that we will have . During Turunc Boat Trip we advise our guests to watch the sea closely as boat sails, because you can sometimes see the cute dolphins swimming next to you. 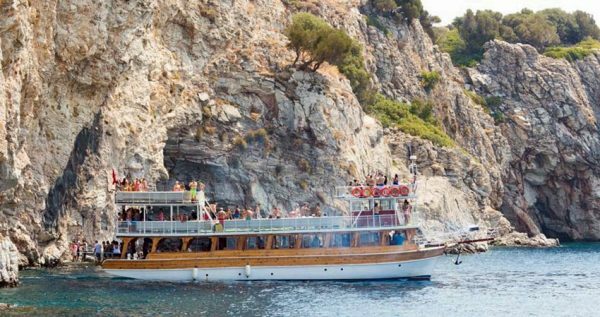 Once this lavish boat tour ends and we reach the harbor at Turunc. 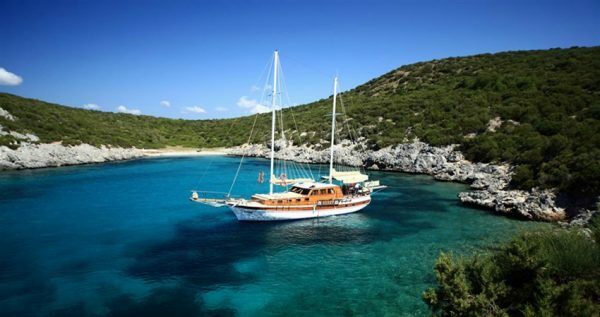 Reserve your spot on Turunc Boat Trip and let us bring your dream-vacation to life. This tour has no pick up or drop back service, you have to be ready at the meeting point at the time mentioned on the tour page. You can see all other available Excursions In Turunc from here. 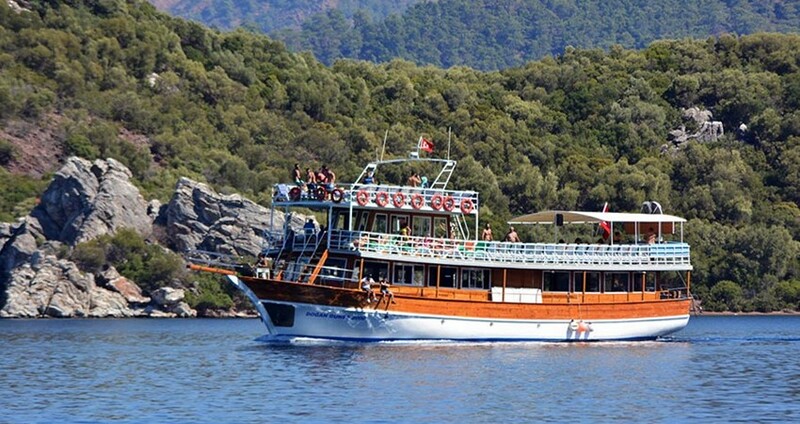 At about 10:00 we will set sail from Turunc harbor. 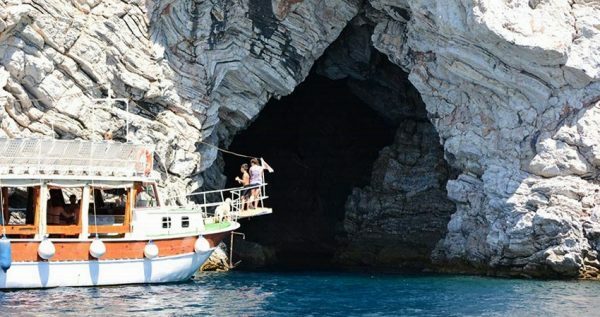 Our first break will be at colorful cave near Turunc for a picture break.In this captivating cave water changes color, and, according to the legend, if you throw a coin in it and make a wish, your wish will come true. Our firts stop will be Aquarium Bay where we will take a 30-minute break at this mesmerizing bay, famous for its transparent waters and golden-sand beaches. You can take a swim, snorkel, or just relax and frolic on the sunbeds. 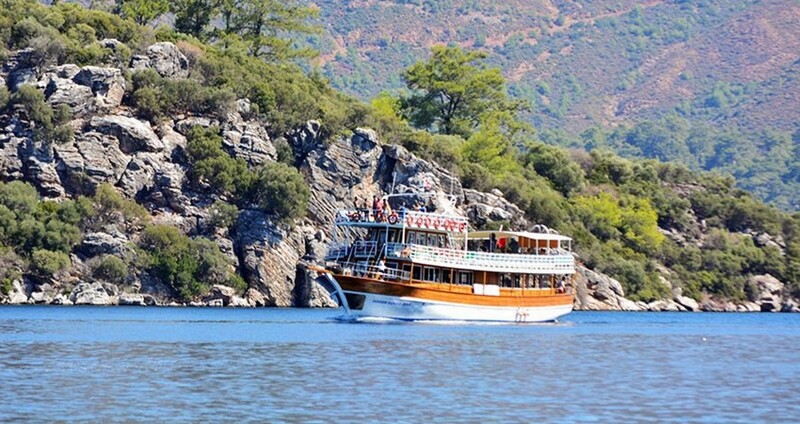 Our next visit will be to the Kadırga Bay, in this beautiful bay we will have 1 hour 30 minutes stop. This bay is also the place where our lunch will served by the crew. Afterwards we will visit Bakla Bükü and have a swim break for about 30 minutes. Kumbuluk is a very popular beach, where we will spend one hour. This marvelous beach is a prestigious ‘Blue Flag’ holder, which is an honor given for the cleanest beaches and waters. We will also have our lunch break during this break. Our last stop will be at the Amos bay which is taking it’s name from Amos Ancient City. 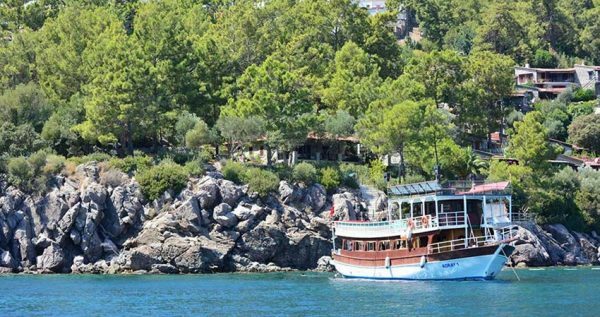 This wonderful spot is famous for its serene emerald waters and peaceful surroundings. We expect to be back in the harbor at about 17:00.